Thank you very much for making our pool renovation such a wonderful experience. 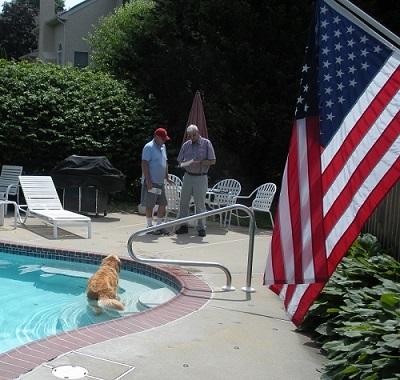 Our pool looks great and we enjoyed meeting you and working with you. You are the best. Thanks for all or your expert, prompt and friendly service. It’s been a pleasure working with you. Job looks great – thank you! Always do what you think is best. You always do a great job! I wanted to thank you for the wonderful job you did. The pool looks fantastic. We are so lucky we found you. You did exactly the job we were hoping to have. We are very pleased. You are the best. Super Job!! There is no substitute for hiring a pro to do the job right. I want to thank you for the excellent work over the past few years. Olympic Pool Service has serviced your pool for the past 14 years. There service has always been responsive and courteous; the quality of work is excellent. I appreciate the fact that they are fair and do not try and sell you a product or service you do not need. Given our experience you wil not go wrong in choosing Olympic Pool Service for all of you pool’s needs. Thank you for the excellent work over the past few years. It’s been a pleasure working with you. Thanks you so much for the excellent work you did on our pool. You were such a pleasure to work with. We especially appreciated that you always returned our phone calls quickly when we had questions. The pool looks absolutely beautiful and we’ve received many compliments about it. We are looking forward to another great summer enjoying it with our grandchildren.